Ziggy riding the carousel, Land of Make Believe, Hope, NJ. Just two more days and he turns two. Where did the time go? That is so sweet!! I have a picture almost exactly like that from when my son turned 2. He's 3 years, 3 months now. It goes so fast! We know this, but...so hard to still accept. My son used to love it - but now he only rides on the bench. My daughter always picks the zebra or a butterfly. Even she is started to get skittish. 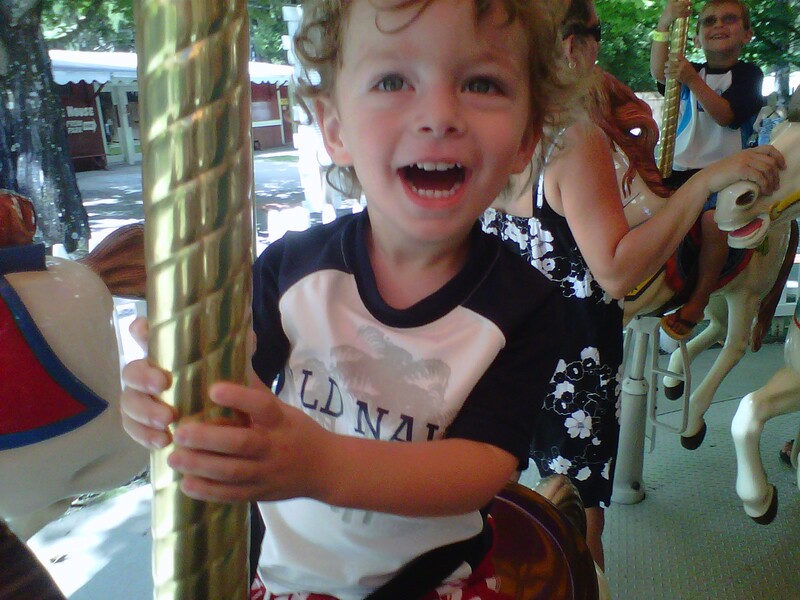 They'll ride the horse at TBZ, but get scared on the carousel.